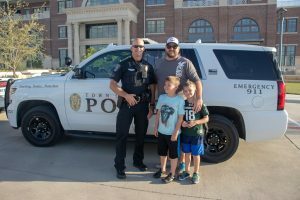 The Prosper Citizens Police Academy exists to educate citizens on operations, policy and procedures of the Prosper Police Department in order to build trust and volunteer within the community. Learn about our current or upcoming classes here. Community Safety Initiative (CSI) is a free community event for our residents. 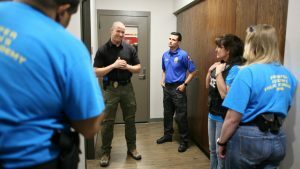 CSI offers an opportunity for our residents to meet your Prosper Police Officers, honor fallen officers and bridge the connection between our community and your local law enforcement. The Citizens Police Academy graduation ceremony is also held during this event. This year our Community Safety Initiative will be held at Frontier Park Pavilion on May 18 from 10 a.m. – 2 p.m. If you are interested in participating as a vendor at our event or providing donations please complete our Donation/Vendor Form. The Donation/Vendor Form can be delivered to Prosper Dispatch located at 101 S. Main Street, faxed to (972) 347-9003 or emailed to Officer Hubbard. 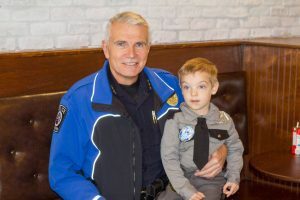 Prosper Police Department participates in regular Coffee with a Cop events at local establishments. These events bring our officers and our community members together – over coffee – to discuss issues and learn more about each other. Be sure to bring the family and join us for our next Coffee with a Cop event. If you are interested in hosting a Coffee with a Cop event, please contact Officer Hubbard. 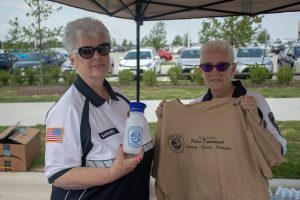 The Prosper Police Department Citizens on Patrol (COP) is a citizens’ support unit. This unit is used for non-emergency calls and helps prevent and deter criminal activity through high visibility patrols and community events. For more information, contact Officer Hubbard. 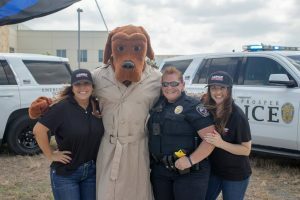 National Night Out is an annual event that takes place throughout the community. It is a community-building campaign that promotes strong police-community partnerships and neighborhood camaraderie to make neighborhoods safer, more caring places to live and work. National Night Out enhances the relationship between neighbors and law enforcement while bringing back a true sense of community. It provides a great opportunity for police and neighbors to be together under positive circumstances. 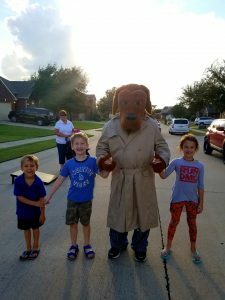 Learn more about how we celebrate National Night Out in Prosper here. 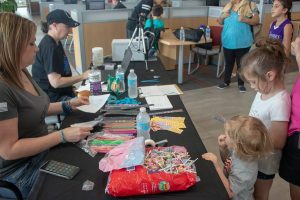 Operation Identification is a Crime Prevention program, which involves the marking of property with an identifying number as a means of discouraging burglary and theft. In order to accomplish this task, the citizen needs to take an electric engraving pen or some type of etching tool and engrave or etch their Driver’s License number on an area of the property that cannot be easily dismantled, and which is not easily seen. Kid Print ID finger print cards can be made for your child free of charge. The cards are produced so that the parent can have important information readily available in an emergency. The information used to produce the card is only used for the card and is not entered into a database. We conduct this service at many of the community events and also at the police department. If you would like to learn more information about having a Kid Print ID at an event or function, please contact Officer Hubbard. The department takes a week during December to reward good drivers. 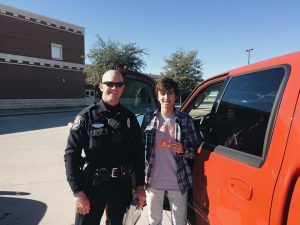 Officers approach stopped vehicles and reward safe drivers with a gift card. The Safe Driver Recognition program hopes to bring holiday cheer by saying thank you to those who follow traffic laws. This program is entirely donation based. Drive safely, Prosper! 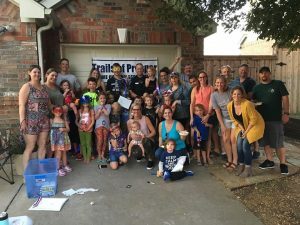 Register your block party with Prosper Police Department to request visits from our police and fire departments. To inquire about block parties or register yours, contact Officer Hubbard.